Take to your hardest training rides or races donning the form-fitting Men's Leggero Short-Sleeve Jersey from Capo, and you'll not only be treated to cool comfort, you'll be in one of the better looking kits on the road too. Constructed of Leggero microfiber that's ultra-lightweight and excellent at moisture wicking, and a Carbon ES microfiber back panel for UV protection, breathability, and rear pocket support, this jersey's technical features will make it one of your favorites. The 11-panel construction of Italian textiles offers an anatomic fit and an aerodynamic silhouette that's optimized while in the riding position. Further boosting your ability to slice through the wind are the 4. 5-centimeter sleeve cuff panels and the new low-profile collar. Ensuring the jersey's slim fit stays put during your next race or tempo group ride is the silicone waist elastic along the bottom hem of the jersey. Capo includes reflective inserts on the rear of the jersey, flanking the pockets, to help you remain visible when daylight is fleeting. The Leggero offers plenty of room to store food, extra gear, and an inner tube in any of the three rear pockets, and the full-length, lockable YKK zipper gives you the ability to adjust the amount of airflow to your core. 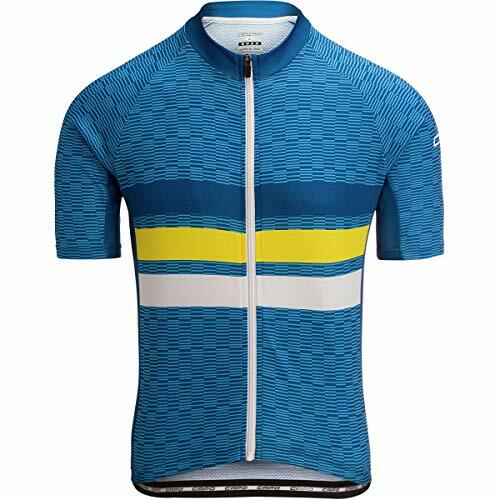 The Men's Corsa Limited Edition Jersey from Capo blends a handsome, stylish jersey with moisture wicking and fast-drying fabrics offering up a cool and comfortable ride during the warmer months. 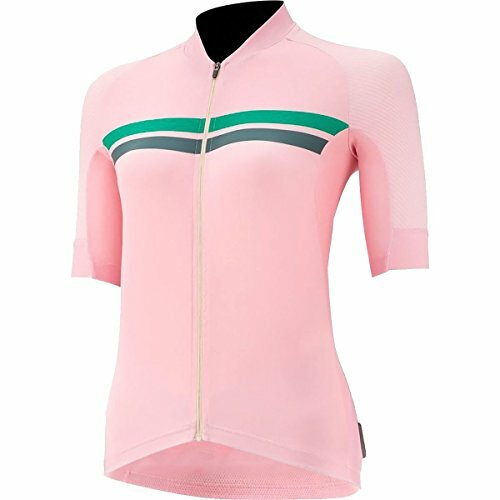 Its lightweight Italian micro knit material is smooth and soft against the skin and its cut in an 11-panel design with a more relaxed fit so it sits close to your body while in the saddle without an excessively tight fit found on race fit jerseys. Helping you beat the heat in the dead of summer are the mesh insert panels under the sleeves to boost ventilation and a full-length 4mm YKK zipper with locking slider for easily dumping heat on extended climbs. A classic three rear pocket design stows food, extra layers, and another bottle on those long days, while the elastic waist keeps the jersey in place. Scrubby brush, unrelenting sun, and a punishing grade: California's Mount Diablo makes for a damn good time whether it's a part of your regular Saturday morning ride route or you only visit as a roadside spectator in May. Towering over San Jose, this memorable climb starts off difficult and stays that way as its serpentine road meanders upward, with little shade to be found. As we considered our latest collaboration with Capo, the iconic climb was an easy source of inspiration. Featuring Competitive's iconic dots, Capo's uncompromising construction, and the spirit of Diablo, the Capo Diablo Short-Sleeve Jersey aims to inspire you on your most grueling efforts. Built on the platform of Capo's Corsa jersey, the Diablo features Capo's airy Micro knit fabric working to keep you cool when the pavement is radiating warmth and there's no shade in sight. Capo uses a 13-panel construction to achieve the jersey's more relaxed fit, which in cycling translates to a well-tailored, but not skintight, silhouette. Mesh inserts under each arm further encourage ventilation on rides when the air seems to stand still, wicking moisture when you're searching desperately for the next flat spot or a miracle granny gear that's nowhere to be found. A lot of similarities exist between the high deserts of California and Italya"both of which inspired the design of Capo's Padrone Aero Men's Jersey. 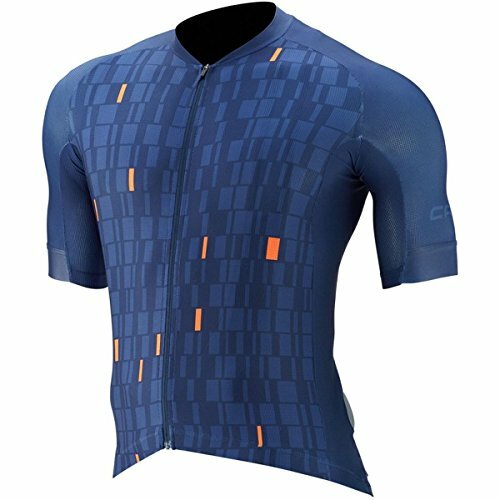 Designed in California and crafted in Italy, this jersey is made from 14 panels of Swiss-made fabrics that have been meticulously sewn together to yield an aerodynamic fit suitable for competitive racers and serious cyclists. The fabrics were then treated with Schoeller Coldblack technology to reduce the amount of sunlight dark fabrics absorb, leaving you cool and comfortable under the intense sunlight you'll encounter when you're riding through rolling Tuscan vineyards or the Napa Valley. The Men's Padrone Cycling Jersey from Capo is both subtleand striking at first glance and beneath that handsome exterior are technicalfabrics that work hard to keep you cool and comfortable on your ride. 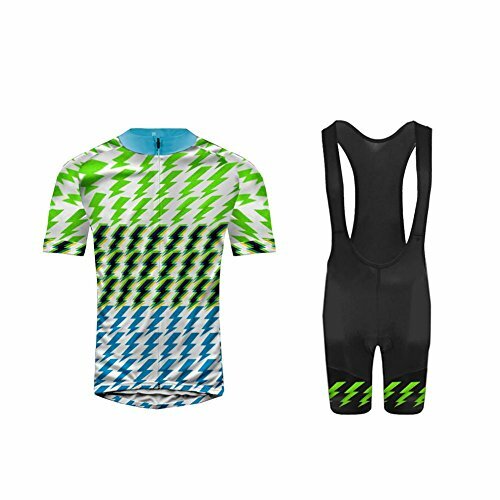 If you'relooking for a full kit, pair this jersey with the Padrone bibs to complete thelook, otherwise, it'll look great with your current favorite bibs. Capo uses sixteen separate Swiss and Italian textile panelsin an anatomic pattern to create the fit. Its lightweight Warp Knit microfiberfabric provides an ultra-smooth texture that pulls interval induced sweat awayfrom your skin helping you stay drier. Eyelet Mesh microfiber panels arestrategically positioned under the arms to help increase breathability in thisheat-induced area and if things are still too warm, simply tug down on thefull-length YKK zipper with a lockable puller and let your pent-up body heatescape. 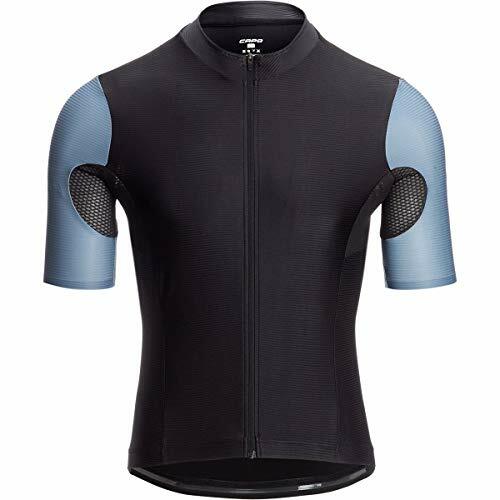 A lower profile collar and seamless sleeve cuffs reduce anyinterference while on the ride, enhances aerodynamics, and helps contribute tothe jersey's minimal silhouette. Three rear pockets are anatomically positioned for easyaccess to snacks while a hidden water-resistant rear security zipper pockethouses your phone and keys. 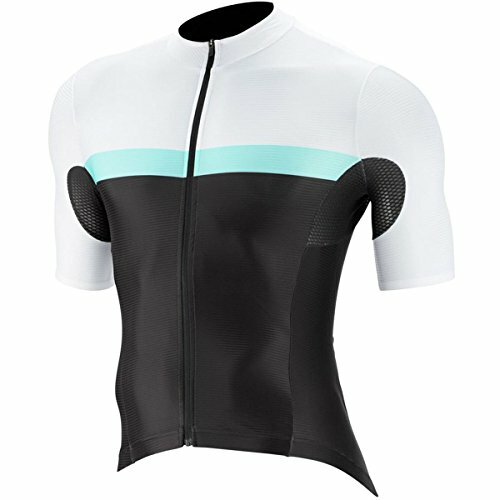 Looking for more Capo Short Sleeve Jersey similar ideas? Try to explore these searches: Chevrolet Camaro Car Cover, Designed Hoops, and Aromatic Soap. 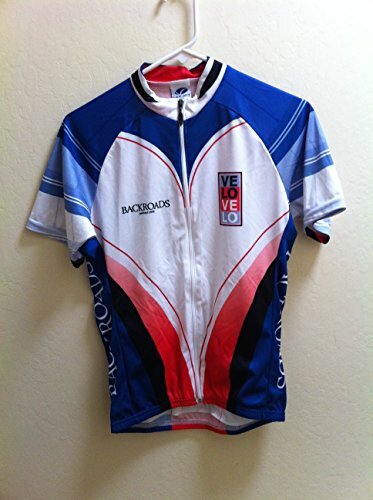 Look at latest related video about Capo Short Sleeve Jersey. Shopwizion.com is the smartest way for online shopping: compare prices of leading online shops for best deals around the web. 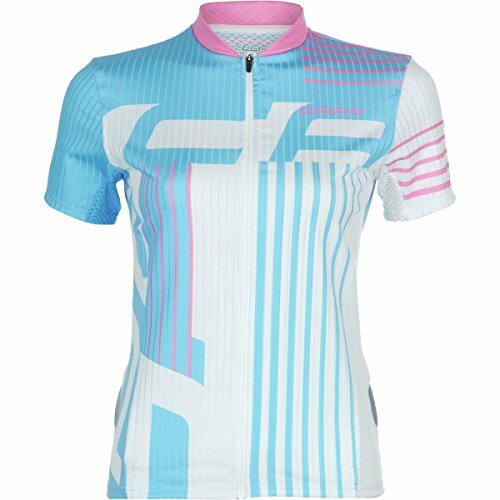 Don't miss TOP Capo Short Sleeve Jersey deals, updated daily.